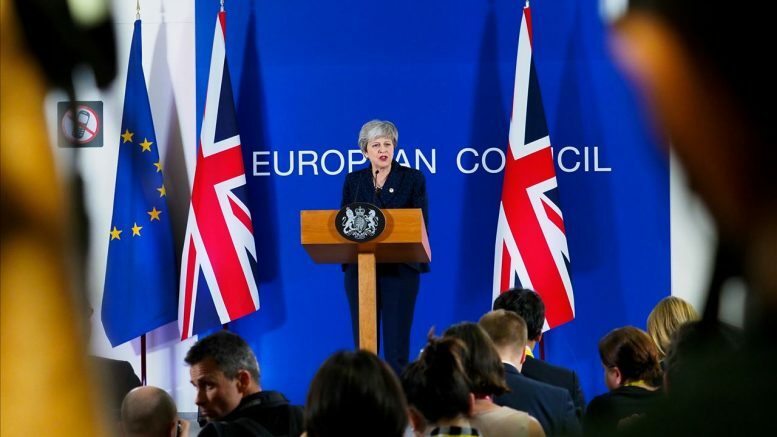 Breathing space: at an early morning press conference on March 22 Theresa May accepted an EU plan to delay Brexit. Brexit has cruelly exposed the western world’s lack of leadership, nowhere more than in the United Kingdom. 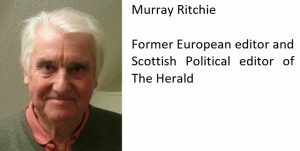 Murray Ritchie poses the question: How did it come to this? In the good old days, it was all so simple. When a political difficulty appeared in the bits of the map painted red you merely sent a gunboat. Winston Churchill knew what to do. His long life covered times of painful transition which is why he is remembered as a heroic leader, but only in war. He famously experienced killing a man (more than one reportedly) in battle and he was of his time with gunboats and gunpowder. Our great war leader knew how to get his way with military firepower in troublesome colonies and in the Second World War, but when confronted with peacetime politics he was lost. When the dust settled the great war leader became just another mediocre political leader, one of a long line in Britain. Since his era of empire and settling disputes in blood, Britain has had precious few strong leaders – Margaret Thatcher obviously, love or loathe her, and Clement Attlee, perhaps Harold Macmillan who was more successful and popular than great. Ten years in No 10 made Tony Blair a purposeful leader until he blew it in Iraq. What cannot be argued is that since Blair it has all been downhill. So steep is the fall in leadership quality in the UK that we have now become a laughing stock across the globe as our parliamentarians squabble and our government implodes. There has never been a time as embarrassing as this. The stunned people cry: where is the leadership? Answer: nowhere to be seen. The leadership vacuum is the cause of this shaming mess. The sad truth dawned long ago that much of Britain has never truly learned how to be happy and to thrive in the post imperial age. After Anthony’s Eden’s humiliation at Suez, Macmillan and Edward Heath recognised that the Americans were correct and insisted post-imperial Britain had to find a new role. They chose Europe, the only natural and logical alternative. Every prime minister since Churchill (who talked famously of wanting a kind of United States of Europe) has been a pro-European. Some, like Macmillan, Heath and Blair, were Europhiles; others like Harold Wilson and Thatcher saw Europe as a business arrangement and little more. But none of them truly managed to place the UK firmly in that much mythologised place of which they were so fond of talking: the “heart of Europe”. The political leadership required to merge the UK and the European Union constructively and happily was painfully absent. Too many British politicians, some on the recalcitrant Left and many more on the nostalgic Right, simply could not accept the old ways of empire and global influence were gone forever. As recently as a couple of weeks ago a senior cabinet minister made the idiotic statement that an incomplete aircraft carrier with no aircraft would be a presence in the Pacific to scare the Chinese and demonstrate Britain’s global power and influence. You wonder what people like him are on. Too many British politicians, some on the recalcitrant Left and many more on the nostalgic Right, simply could not accept the old ways of empire and global influence were gone forever. And here we are now in a state of unprecedented confusion and political collapse over our tortured relationship with Europe. I think back to a time in Strasbourg when Heath was receiving an award from the European Parliament and he granted me an interview in which he described the Tory party’s Eurosceptics – then making life miserable for John Major – as “a bunch of bigots”. Those would be the same people who are now hellbent on destroying our relationship with the EU and wrecking their own government and party. When the Blair years arrived, the UK was temporarily saved from the disaster which has now befallen us as the Tories have torn themselves and the country apart. No wonder David Cameron – the latest in a succession of Tory PMs to be brought down by Europe – is nowhere to be seen in this chaos. He and Theresa May must now go down in history as the worst prime ministers of the modern age. 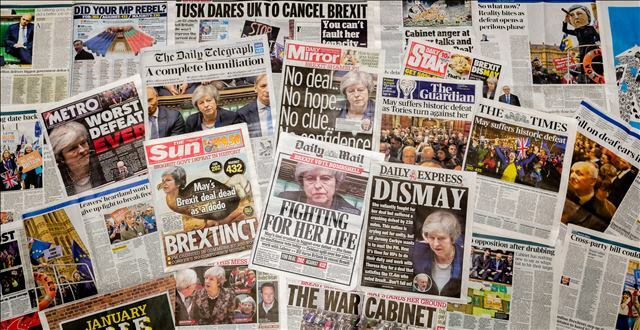 One caused this mess (for purely selfish party reasons) because of an almost incredible lack of judgment – and the present prime minister is reduced to insulting parliament for standing up to her and her government’s ineptitude. May’s handling of Brexit must surely make her and her administration the most incompetent collection any of us can remember. What the Tories lack in leadership is mirrored across the Commons where the Labour leader – a lifelong oppositionist – is astonishingly ineffective. This is a man who is a known Eurosceptic masquerading as a supposed Remainer who seemingly hankers after being a Leaver along with the Tories when the crunch comes. He seems tempted to defy most of his own parliamentary colleagues and most of his pro-European party membership. Yet we pay him to oppose. At this stage in the crisis Labour should be more than 20 points ahead in the polls. Instead there is little to choose between the parties’ ratings. This almost defies belief and is a sad commentary on the state of our leaderless politics at the greatest moment of crisis since the Second World War. Much of the rest of the world is suffering too. The wrong kind of leaders are popping up across the globe from the United States to Russia and Eastern Europe. Perhaps we can be saved from ourselves in the UK by the EU’s one proven leader, Angela Merkel. As the main player in the EU she has yet to make her influence decisive, although it may be too late even for her. If she did intervene and impose her authority in a manner helpful to both sides, how ironic would it be that our lost leaders were saved by a popular, trusted and respected German? Be the first to comment on "Leadership, or the sad lack of it"